Bin Storage Cabinets Keep your valuable parts secure and organized in All-Purpose Storage Cabinets. 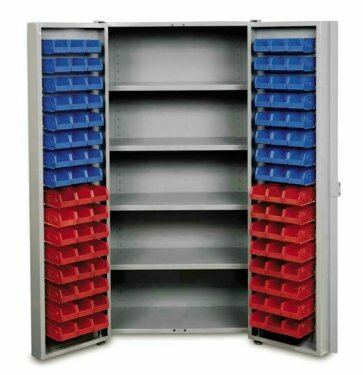 These rugged welded-steel cabinets include the Bins, for added storage in your facility. Each Bin includes a label/bar code area for quick identification, and is easy to remove and take to the job-site. Grey enamel finish.